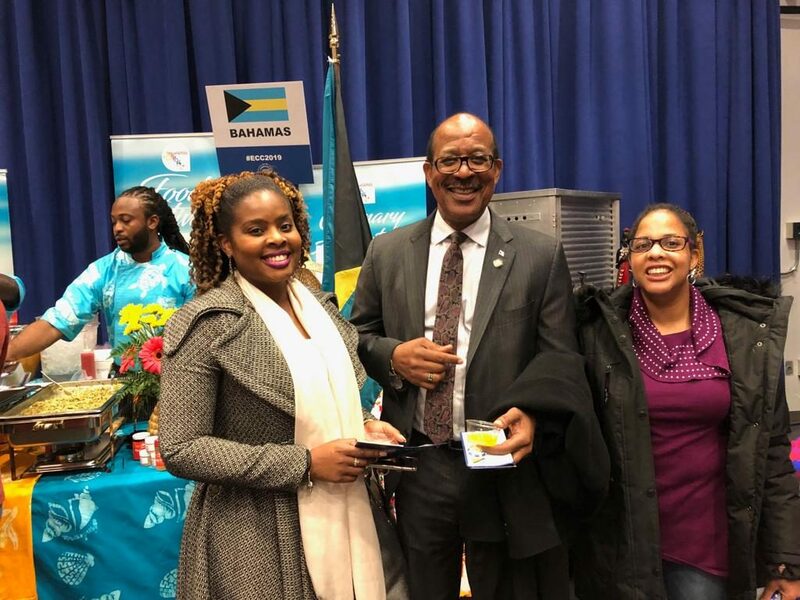 WASHINGTON D.C.- On Tuesday 2 April 2019, His Excellency Sidney Collie, Ambassador of The Bahamas to the United States and Permanent Representative of The Bahamas to The OAS, attended the 11th Annual Embassy Chef Challenge hosted by Events DC at the Ronald Reagan Building and International Trade Center. 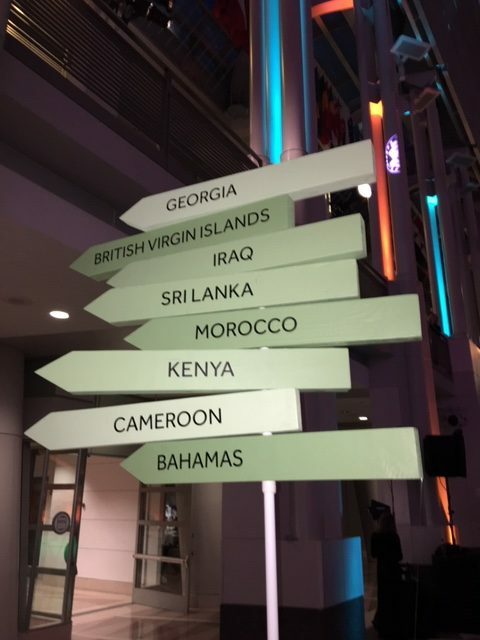 The event highlighted chefs representing countries from around the world, who competed in a friendly culinary competition and were judged by a panel of celebrity judges and food critics. 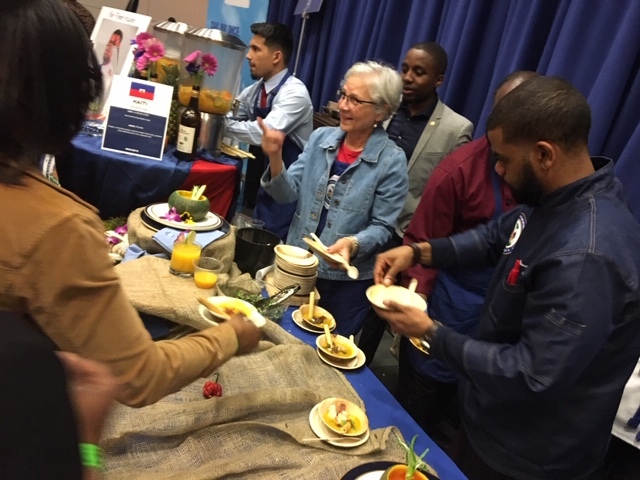 The chefs prepared sample dishes for the 600 to 650 persons attending the premier event for Events DC. 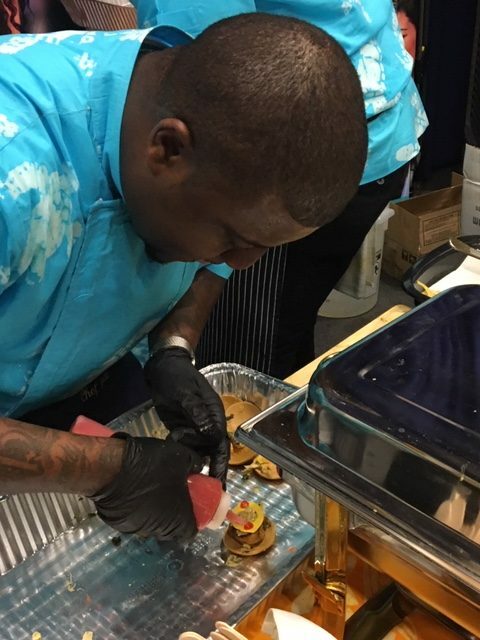 The Bahamas was represented by Chef Ron Johnson, a renowned Bahamian chef, known for his celebrity clients. 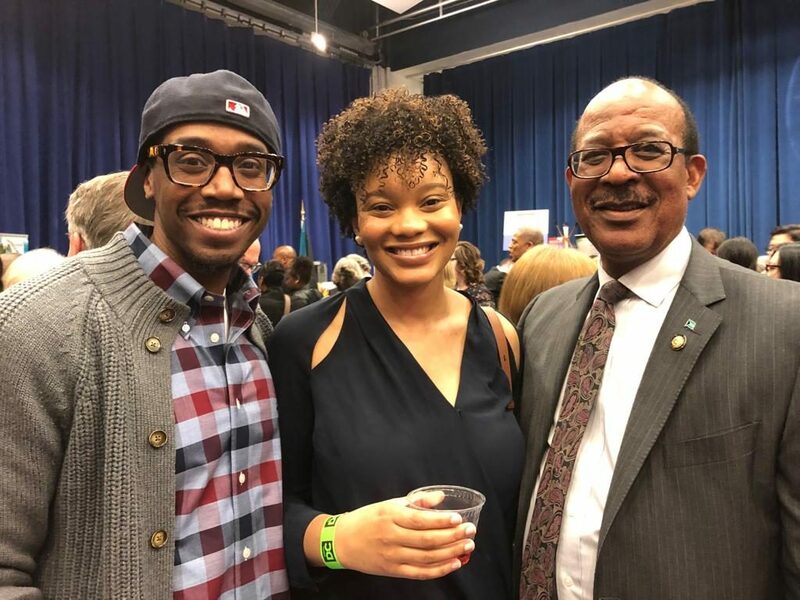 Chef Johnson is based in Nassau and New York. 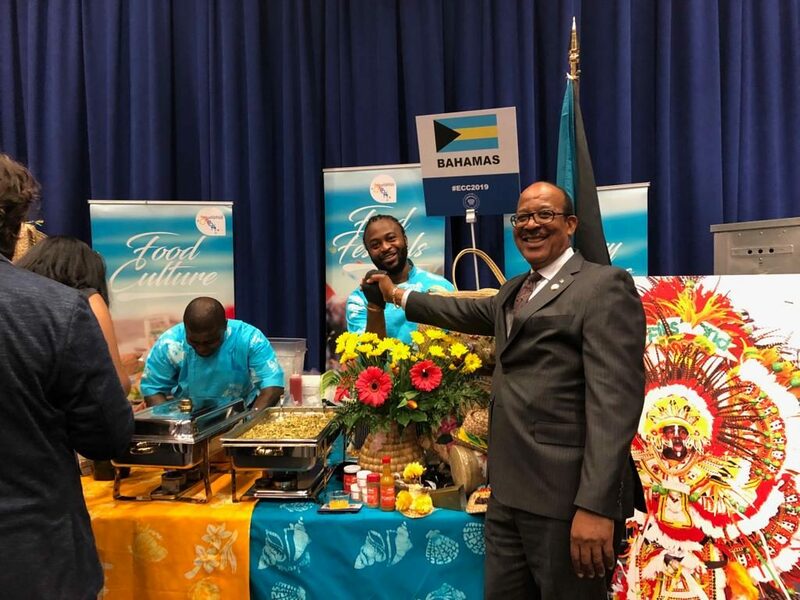 He is a graduate of the prestigious Johnson and Wales University and was the team manager for The Bahamas National Culinary Team in 2015 and 2016, which won Gold and Silver medals. Chef Johnson’s sous chef was Chef Richmond Fowler. 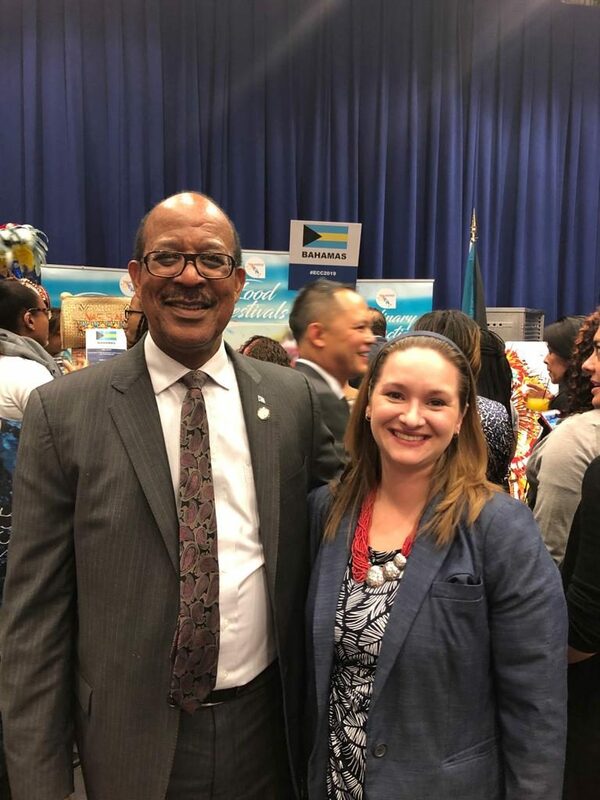 Chef Fowler is a seafood specialist and competitive chef who earned a silver medal at the Taste of the Caribbean Competition. 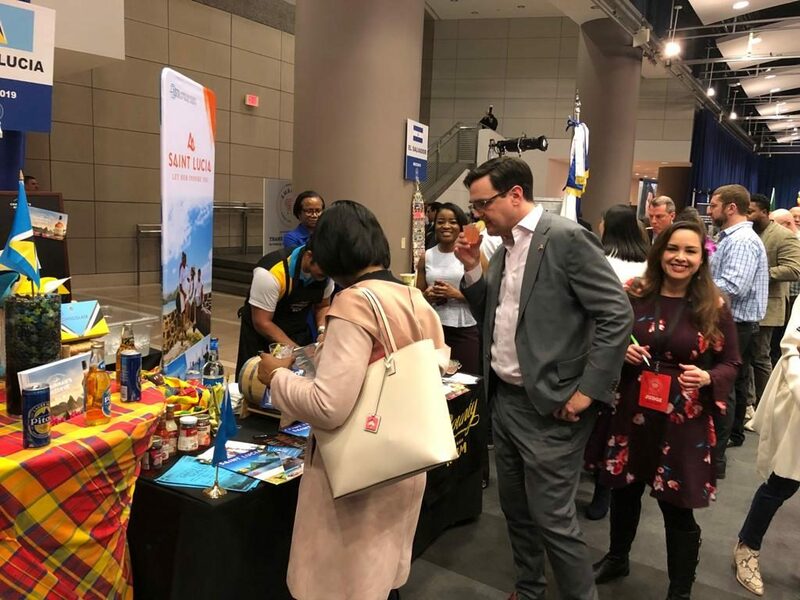 At the end of the night, The Bahamas team was awarded 3rd place for the People’s Choice for a lobster and coconut stew with a curry ginger cracker and spiced Red Bell Pepper Gel.